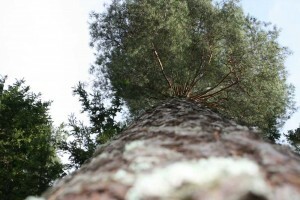 Culture | A large pine tree. View of the monument to Maxim Gorky. Nizhny Novgorod. Arhitetor Mukhina.Plastered house of the 19th century. Elias Street.